House prices in former chancellor George Osborne’s neighbourhood of London have fallen almost 10pc in the last year, partly as a result of the fallout from his changes to stamp duty. London estate agency Stirling Ackroyd said prices in Notting Hill fell on average 9.6pc in the last year, as a result of the high-end housing market slowing down, which was partly due to the increase in stamp duty in December 2014 for homes worth more than £970,000. 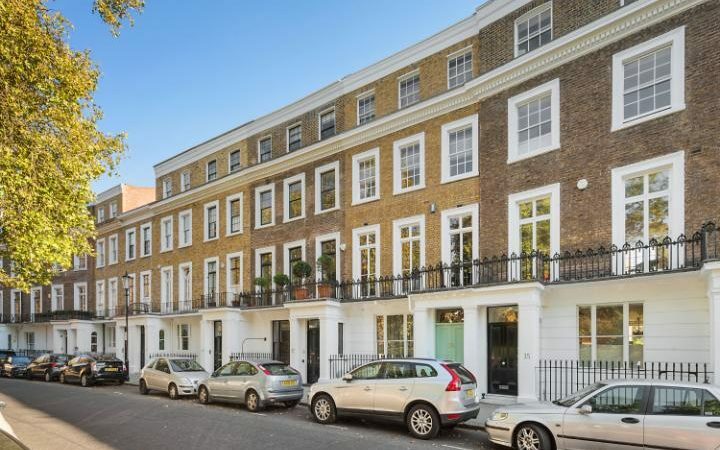 Mr Osborne’s home in Notting Hill has fallen in value 2.7pc in the last year, according to Zoopla figures, and under the rules the stamp duty payable on his home is £373,470. This week, The Daily Telegraph has launched a campaign to urge Philip Hammond, the Chancellor, to address the issue of stamp duty at next week’s Autumn Statement. Rob Walker, head of real estate tax at PwC, said “current levels of property tax are greatly impacting the market”, adding that “they have a ripple effect”. His comments came as government figures revealed yesterday that there was a 52pc fall in the number of affordable homes built in the last financial year, the lowest level in 24 years. A report by Sir Michael Lyons, released this week, also agreed that the Government should consider reforms to stamp duty as part of the forthcoming White Paper on housing, which is due to be released with next week’s Autumn Statement. In an update to his influential Lyons Housing Commission, which was established in 2013 to advise the Government on increasing levels of house building, he said government should consider “allowing local authorities to set stamp duty rates for new-build properties and large build-to-rent developments”. He added that this would help improve affordability and increase the number of transactions in an area.